Pecans enrobed in a sweet and velvety caramelized sugar. A few years ago, after James got back from Iraq, we went to Charleston to pick up his truck. Along the way, we stopped and saw a candy shop specializing in pralines. Obviously, we had to get some! How could we resist - roasted pecans surrounded by creamy and sweet caramelized sugar? What are some sweet treats you've tried to recreate at home? Place Sil-pat, parchment paper, or aluminum foil on a baking tray (or simply grease a baking tray). Combine all materials, except pecans in a pot over medium heat. Add pecans once all the sugars are dissolved. Heat to 240F (soft ball stage). Remove from heat and stir until the mixture "talks" (or small sugar crystals form). Quickly spoon onto prepared baking tray. Let rest until firm. If they are still a bit gooey after a few hours, place in a gas oven or refrigerate uncovered overnight or until set. 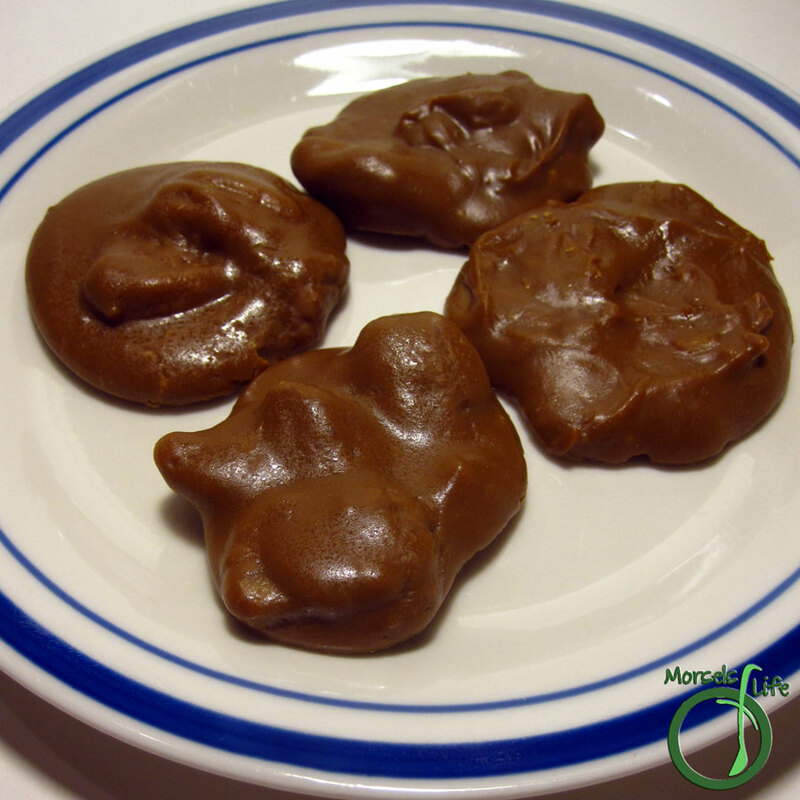 If it takes longer than overnight, flip over the pralines that are set enough to move, and leave in gas oven or refrigerator a bit longer. The gas oven method was a bit faster for us, and I moved the refrigerator ones to the oven after a day or two.